BOSTON (CBS) — Tom Brady is intent on playing in the NFL for several more years, but unfortunately for him, his helmet’s days are numbered. That’s because the NFL instituted a new rule this offseason which will phase out some older models of helmets that no longer satisfy various safety factors. Brady’s helmet, a Riddell VSR-4, is on that list of helmets that won’t be allowed past 2018. According to the Twitter account “Helmet Stalker,” Brady’s sporting a Riddell Precision Fit SpeedFlex in that photo and video. It’s certainly a distinctly different look for Brady, who’s worn the same helmet style for as long as anybody’s ever watched him play football. He has, though, experimented with some more modern helmets. But each trial ended in short order, with Brady always going back to his trustworthy VSR-4. According to a 2015 Newsday story examining concussions in high school football, on the one-to-five star scale of safety for helmets, Brady’s VSR-4 helmet scored a one star. 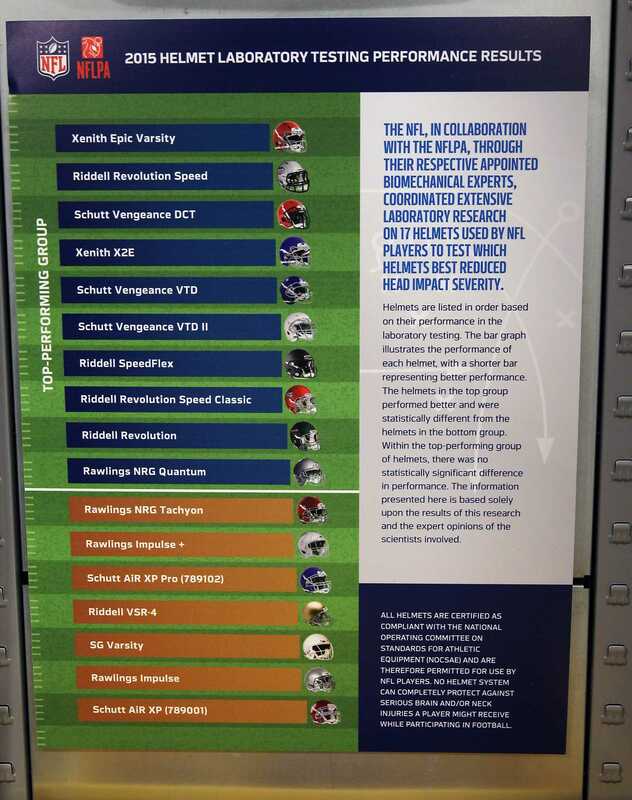 The NFL’s 2015 laboratory testing chart listed the Riddell VSR-4 as a low-scoring helmet as well. The SpeedFlex tested as a part of the “top-performing” group. While it’s unclear if or when Brady might implement a new helmet, Patriots fans can feel good about what the test at practice means for the quarterback’s future. Considering the VSR-4 is still allowed in 2018, Brady’s training camp experimentation this week is an indication that he does indeed intend to follow through with his plan to at least play in the 2019 season.